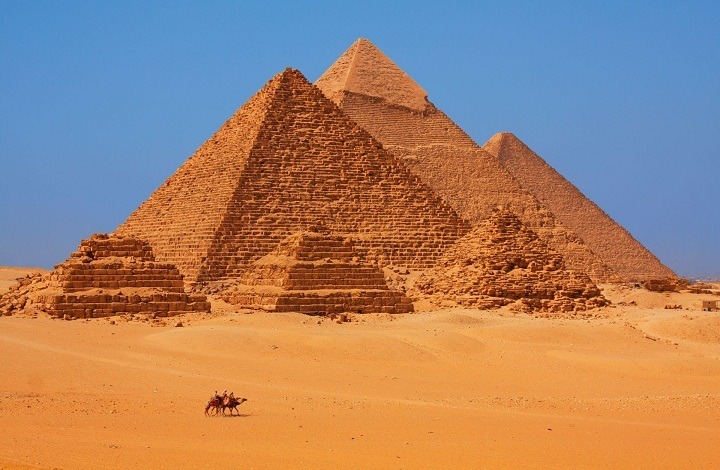 The pyramid is known since ancient time which connects energy forces and it has healing properties. The Egyptians worship Pyramid as a spiritual symbol because it directs the electromagnetic energy surrounding the earth. Research and experiments have shown that pyramid power changes the mental, physical and emotional states of individuals. It improves the aura of the person and brings positive vibrations in the life. In India the architecture of temple is based on pyramidal shape. Pyramid is also gaining popularity in homes now days as it enhances the positive flow of energy. It removes the negative vibrations from the home.If kept in the master bedroom, it revitalizes the positive aura, but it should be kept in the south-west corner of the bedroom.The power of the pyramid is endless, and individual should have complete faith on the pyramid. 1 Medicines if placed under the pyramid becomes more effective. 2 If water is stored under pyramid, then it becomes energized. 3 If pyramid is placed under cut or wound, then it gets healed fast. 4 Sleeping under pyramid helps retard ageing process. 5 Battery placed under pyramid for 24 hours get recharged. 6 Beauty of the face increases, if face is washed by the water placed in a pyramid. 7 The disease of gums and teeth get cured, if toothpaste is kept under pyramid for 2 to 3 days. 8 If pyramid is placed on a working table, then the negative and stale energy is removed. 9 Placing foods under pyramid keep the food healthy and fresh. 10 You may get a positive result, when you write a wish on a paper and place it under pyramid for 2 to 3 days. 11. Keep pyramid in the four corners of the bedroom to increase the flow of energy.